After their awesome graduation and party with friends and family we have had the rest of this week to spend together as I have unfortunately lost my job and waiting to start a new chapter in my life as a banker. Yes, I am nervous and excited all at the same time. I will be going back to work come this Monday on the 13th. I am very blessed that it didn't take me long to find a new job and I am hoping one that I am truly going to love. (at least I think I will, lol) It is going to be interesting to start over in a new direction after having been in pharmacy for over 26 years. Ok, enough of my boring news about my job issues. Now, onto today's card. Of course the kids need to send out a ton of Thank You cards and even though I had them purchase those, (their responsibility now) it put me in the mood to make a few of my own for some very special people that helped me to make their party a great success. I have to admit that I just love how this card turned out. I love the stark white with the black and blue. I am sorry to say that when I made this card I wasn't thinking of putting it on my blog, so I didn't write down any of my info on stamps, washi or card stock that I used. I will however get back into doing to very soon. That is my goal as of this morning. lol.... Wish me luck! Wow, can you guys believe that Easter is this Sunday? I have been so busy with work, Weddings (My Wonderful Nephew got married on April 1st), Spring Break & a mini Vacation as well as a wonderful Spring Cold that I really just didn't realize it was already here. lol... Seriously, I just realized it was this Sunday as I was cleaning off my desk this morning and marking things on my wall calendar. Moving right along... For your viewing pleasure I have this card I made from the AWESOME stamp set 'Coffee Lovers' from MMS. I am so glad to have finally been able to pick this set up from Nicole as she sold out of it right away on our release day. When I got it in the mail I instantly when to town with it. I know I love me a great Latte and I love to get smoothies just like the next person, but my family LOVE'S Icees. Yes, it can be an Icee it can be a slushy it can even be a Slurpy (my ALL TIME FAVE! ), but ultimately they just love them. We all have our own favorite flavors. My hubby has to have a Coke one, my Daughter and I both prefer the Blue Raspberry and well my Son he loves them all and most times he has to put both the Wild Cherry and the Blue Raspberry together. lol... I love a kid that knows his own tastes and sticks to them. 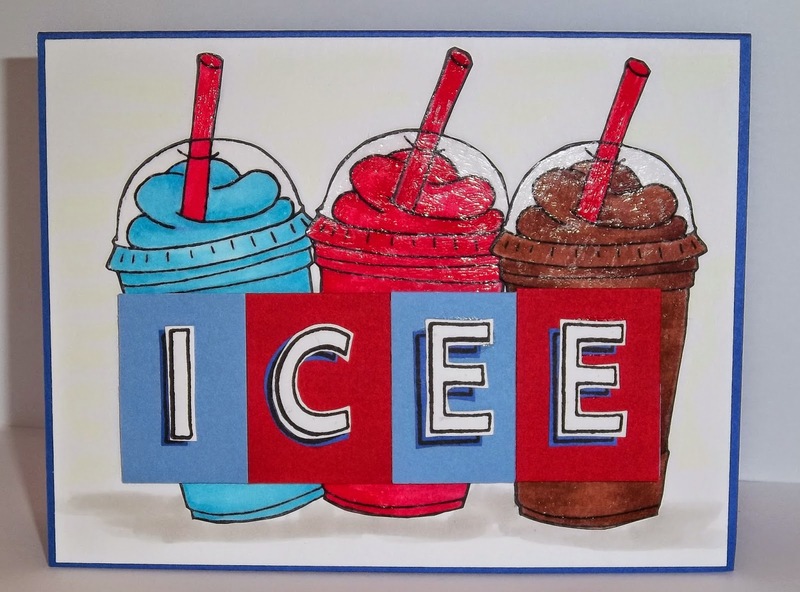 So when I decided to make my Icee card I wanted it to have all of us represented on the front of the card. 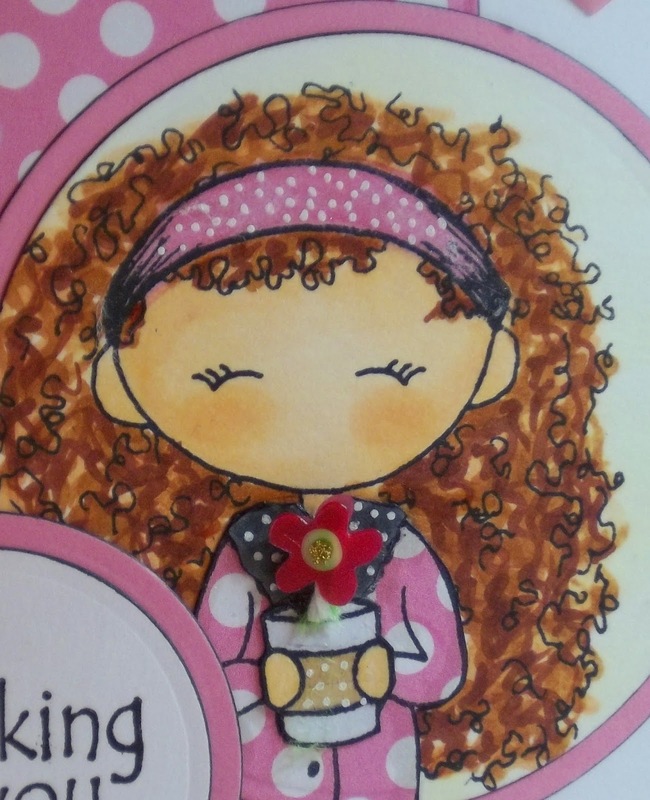 Then I pulled out the stamp set 'Warm Thoughts' for the sentiment on the inside of my card. Needless to say, he really love the card. Even though this is a DT card and I used mostly My Style Stamps for this card I do want to mention that I used my LF 'Quinn's ABCs' to get the ICEE on the front of this card. It was so easy to do and if you 'Google' Icee, you'll find 100s of pictures showing their logo and whatnot. As I said, it was easy to stamp and hand cut these out as the logo isn't perfect. I know we have all gotten where we love having matching dies for our stamps, but sometimes it's just too much money to get both so I try to not let that get in the way of my creativity. One last thing before I let you go. be sure to check out My Style Stamps Blog. Carol is ever so sweet and she works really hard to put up all our DT projects, cards and all. So be sure to head over and give her some love. Don't forget you can find us on Facebook and play along as well. We would love to see you there. Ok guys, if you've lasted this long with me I thank you ever so much. I know I am a talker, and can go on and on, so I will wish you all a very HAPPY EASTER if you celebrate it. out this adorable set from Halloween called What's Brewing. Yes, you read correctly... It is a Halloween set and I happen to think this frog is just the Bee's Knees. lol... He is such a cutie and as all cuties have friends I paired him up with these cute little butterflies from her Fly High set. At any rate, I really love how this card came together and it just did exactly what I had envisioned it to do so I am a happy girl. I hope you like as well, and I hope you all have a wonderful Spring weekend. Talk at you all later. I'm not sure anyone even comes to my blog anymore, but I miss it and I want to start sharing my cards again. 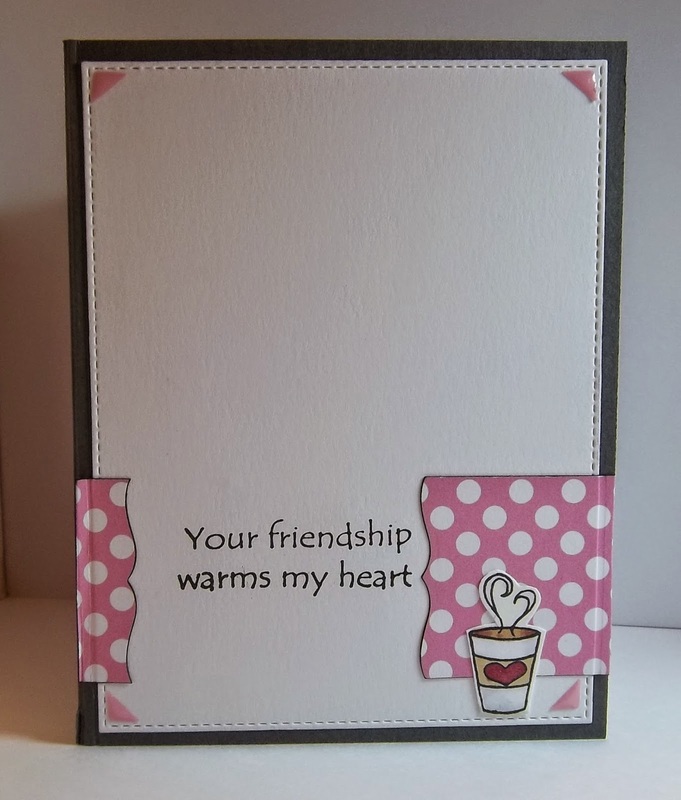 I have been super busy between work, family, the My Style Stamps DT and making cards for the shop here in town that other than posting to the MSS Facebook page and making a YouTube video once in awhile, I just don't have enough time in a day . Not complaining in anyway, just telling it like it is. lol... I'm sure most of you can relate. 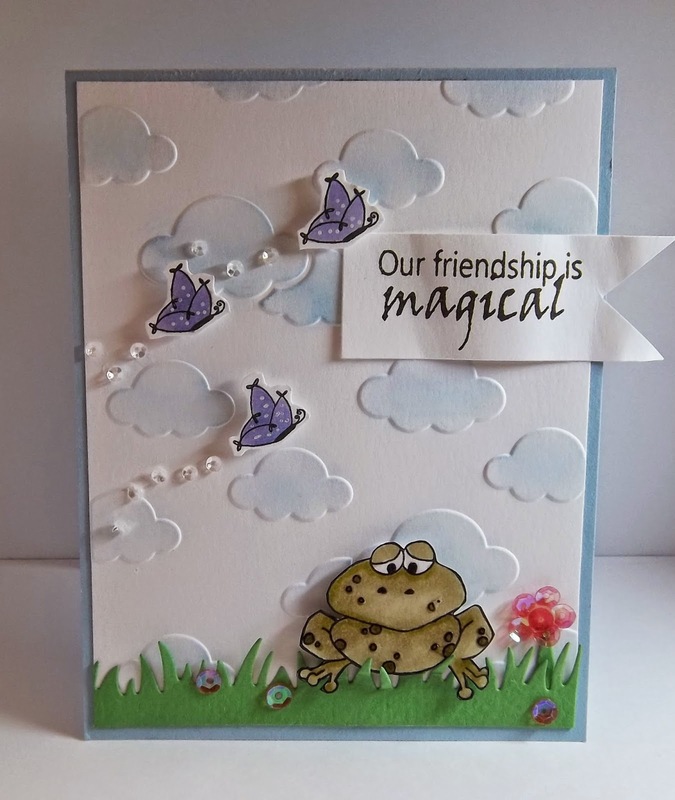 So, I want to share this cute card that I made for the MSS designer Sketch Challenge #1 over on Facebook. We are hosting these challenges on the 1st and 3rd Monday of each month and for this one you have until March 31st to get up to three projects done and posted for your chance to win a $10 GC to the MSS shop. So be sure to check us out over on Facebook. Ok guys, I hope you all have a wonderful Friday and if I don't get back here until next week have a great weekend as well. I used every stamp in the set for this card and I am sure I will be using it again to make more cards real soon. I hope that you have all had a great week. I have to work tomorrow and Saturday, but I wanted to put up a post and share a little of what I have been up to. 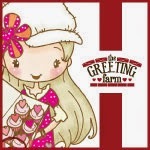 So, as my blog is my heart and my beginning on this wonderful journey of Copic coloring and crafting in general I really wanted to come and say "Hi" and see what all of you have been up to. I am hoping to get back into my blog, so please come back if you can and visit. I wanted to share with you all a card I made with the stamp set ' What Cake?' 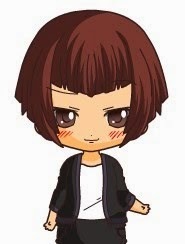 from My Style Stamps. I just love this little lady and the fact that she is trying to hide the cake that she has just devoured. lol... I also have a very good friend who's Birthday is coming up next week and I wanted to make her a card. So I put them both together and this is what I came up with. 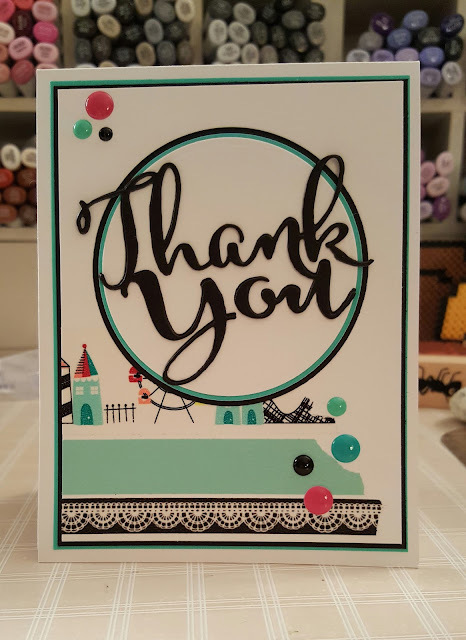 I used my enamel dots (yes, I am still hopelessly addicted to them) to bring out the party feel to my card while using softer tones as that is what my friend really loves as far as color schemes go. 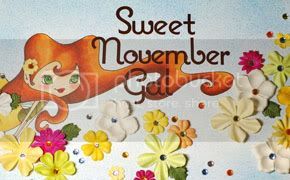 I hope you all enjoy my card and if you get a chance be sure to check us out of Facebook and at Nicole's shop as well. She always has great products and specials going on. These stamps are photopolymer and they really stamp up wonderfully. Ok guys, have a great weekend and I will talk at you later. I hope you all had a wonderful week. I know for me this week just flew bye. 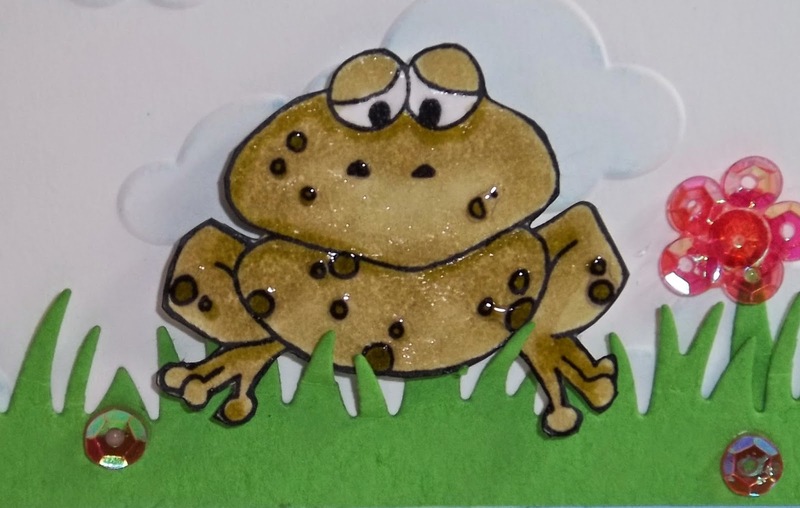 I have to work tomorrow, but I am hoping to get some crafty time in once I get home and with the Super Bowl behind us now I am sure to have time Sunday to get inky and play with my stamps. As you know, Friday is my day to put up a post over on the Facebook page for My Style Stamps. This week I decided to give it a go at making some of my own 'pocket page inserts'. 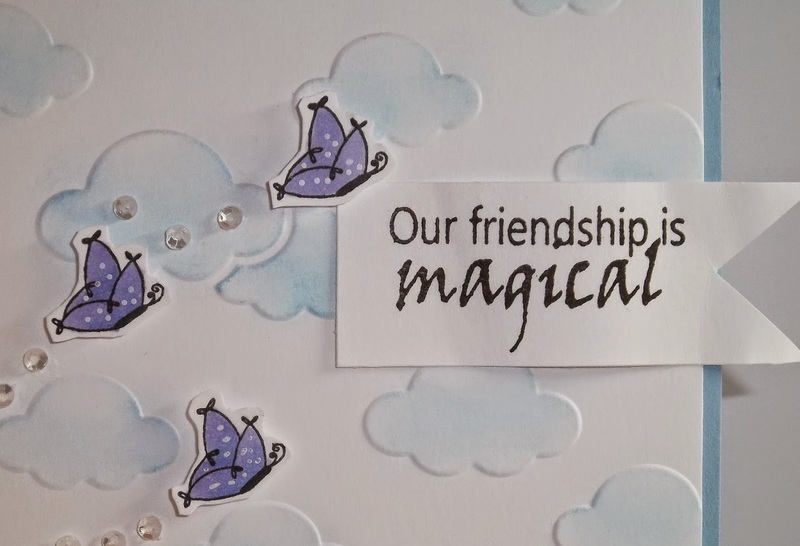 I have a good friend that loves to scrapbook that way, but doesn't have the budget to go out and buy a lot of the pre-made cards that go along with that style of scrapbooking. Well, I thought that gave me a great opportunity to make her a pack of cards that would work into the kinds of pages that she like to scrap. Thanks to my ever growing collection of My Style Stamps stamps I was able to make her up a few cards just last night. I think it took me all of 45 minutes to make them all and I had so much fun doing it. 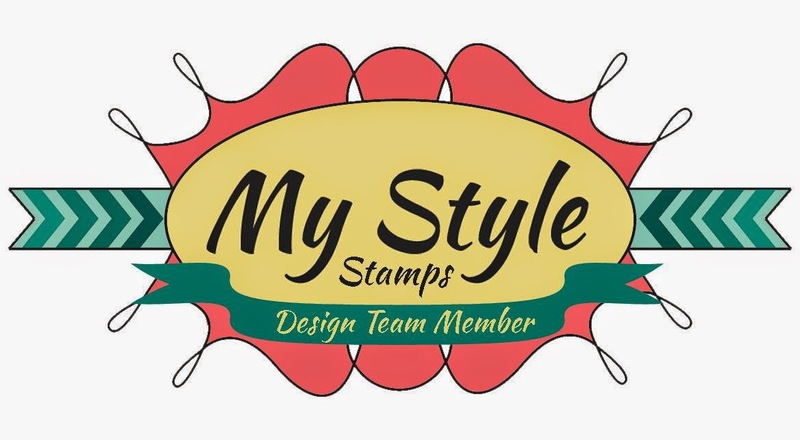 I just ordered a BUNCH of stamps from the My Style Stamps store this last weekend as Nicole had all of her stamps in the store on sales, so once I get my haul I am sure that I will be able to make even more cards for her. The best part is that I know she is going to LOVE these cards as they are made to fit in with her children and with her lifestyle. 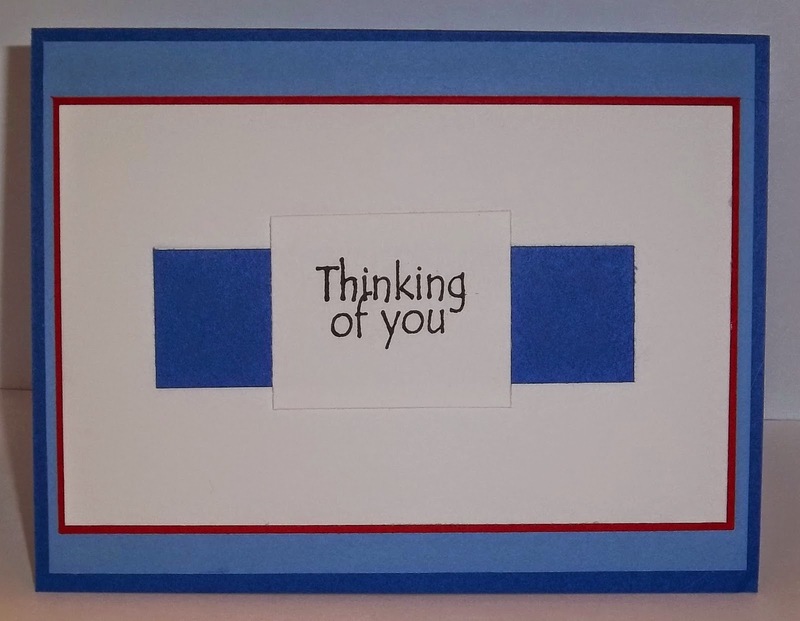 If you haven't made your own cards, or if you know someone that would love cards made for them I really encourage you to give this idea a try. It wasn't my idea, it was Danielle Pandeline from our Facebook group who came up with the idea on her post Tuesday, but I just had to have a go at it. :O) As I mentioned, I was playing with this, but I have so many more ideas in my head now that I can only imagine just how elaborate you could get with this. We would love to see what you come up with, so please come over to our Facebook page and share any and all the things you make. You don't have to use My Style Stamps to play, you don't have to make page cards, Nicole just wants to you come over and play with us. If you happen to use our stamps that is GREAT, but please remember with My Style Stamps we are about the creativity, not just the stamps! SO have FUN!!! Ok guys off to work I go. Have a wonderful weekend and I will talk at you later. once again the backside of the card.. I am going be real quick with this. Today I went down to the Made in (our town) shop to add six more Valentine's cards to sell., I am so excited to tell you that so far all of the cards I have taken down have been sold. I am in shock that anyone would pay that much for a homemade card, but I'm not complaining. :O) I am so happy and I hope that it continues to be a good thing for me. OK, let's get to the reason I am popping into my blog today. That would be so that I can share the fact that over on Facebook all the MSS girls have been working all week to provide inspiration for all of us and to get us excited about making something crafty with paper bags. Now, don't get worried, if you're like me you might be thinking. "I'm don't do that, I am a card makers." or something along those lines. I know when Nicole first shared that with us all I was worried that I wouldn't come up with anything good let alone anything I would want to share with anyone. As you can see I found out just how mistaken I was. This project turned out to be just about the most fun and relaxing I have had while crafting in a long time. I couldn't believe how much FUN decorating gift bags is!!! Yes, I made my own bags out of printer paper and some light weight card stock. I had a great time decorating them with the Build a Blossom stamp set from MSS. I had so, so much fun making these,... that I am going to sit down tomorrow and make a few to take to the shop for people to purchase. I think people would like a set of 4 or 5 made to look like they could put candy in them for Valentine's Day. It's fun, it original and the stamps are fantastic! So I ask ask you want are you waiting for? Head over to our Facebook group and join in on the fun. Check our Nicole's store while your there as she is having a 30% off most everything in the shop (THIS WEEKEND ONLY - STARTING TODAY!!!) so she will have room for the new and I must say it "EXCITING" things that she has coming in. Go have fun, be crafting and enjoy yourself. Thanks for stopping by. I will talk at your later. the front. I love how it turned out, but I had a great time with the second bag. bags were made with the same stamp set!!! Side view: Stamping all around! MSS-Build a Blossom & Misc. others for my non-MSS bag.